Check out the original post of this card here. Telephones are weak spot of mine. Teri's card inspired me to ink up my older Hero Arts set (Just Saying Hi) and combine it with a newer Hero Arts set (My Happy) for today's card. As a nod to Teri's fabulous use of polka dots, I used my polka dot impression plate. I also got busy with some patterns; just in smaller doses than Teri for this CAS card (see my stripy and ledger stamping, and checked washi tape). When using the large background stamps, ink it up and place it face up on your surface. Then place your card on top and smooth over with your hand; you're more likely to get an evenly stamped impression. When impressing a pattern into cardstock, especially thick cardstock, lightly spritz your card with water beforehand. This will loosen the fibres of the card and give a deeper impressed pattern. Why not pop along and see what the rest of the CASE Study DT created? I promise that you won't be disappointed! Rainbow Bandwagon: I'm still on it! Awww what d'ya mean it's Friday Eve already?!?! Where is my half term break disappearing to?! Well even though this week is zooming by amazingly fast, nothing stops this gal from knuckling down to a new CASE Study. Today's card is inspired by this cool card of Teri Anderson's. 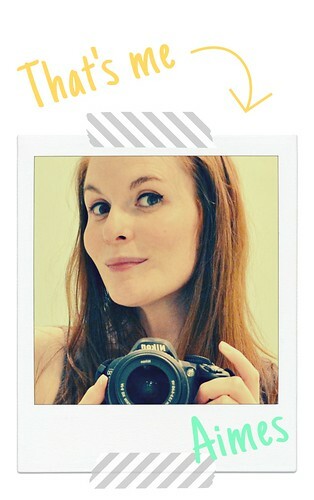 I think you can probably tell that I was inspired by Teri's use of stripes for my own card. And I know that the rainbow trend was a bandwagon that has probably long gone, but it's a trend that will stick with me for a while methinks! 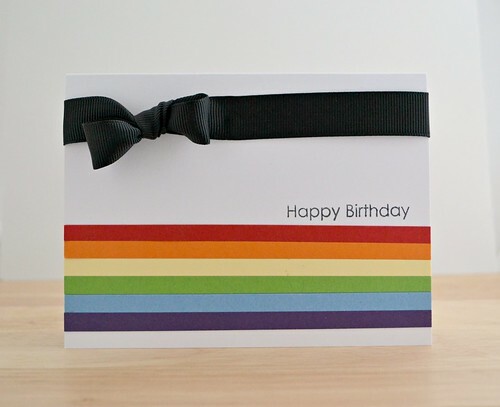 If you're *so* over the rainbow trend, why not try this using different colours strips of cardstock for the design? Simply remove the bow/ribbon treatment from the card to give it a more graphic feel. Be sure to check out what the rest of the super duper CASE Study DT created for your viewing pleasure too of course. It'll get your mojo tickin' - I promise. Well my week off half term is nearly over and I've still got a super long list of things I'd like to do. It's a shame that my list of things I need to do is longer...so much longer! Ha! Today's card is for our new font-astic challenge on A Passion for Papertrey. We want to see peeps mix 'n' match fonts on their creations. 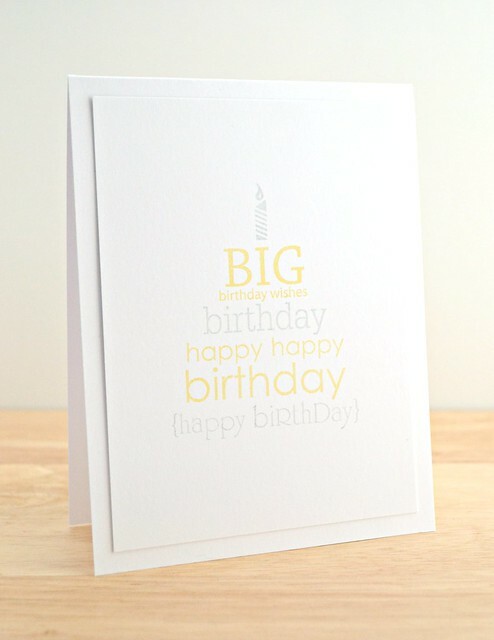 All of the various fonts stamped on this card came from a single stamp set: Birthday Bash Sentiments. Be sure to have a practise at stamping your cake. See what size fonts work best together and get an idea for how big your cake is going to be before trimming a piece of cardstock to stamp on. I found it easier to stamp from the bottom layer up. Find the central point of the card, lightly mark and start stamping. Be careful if using pigment inks, as rubbing out the light mark will cause the ink to smudge - a dye ink wont smudge. Yup, I'll stick to 'baking' cards for now....! Happy sunny (well, it's sunny here today anyways), Sunday! I'm popping in today super quick, with a card that was super quick to make, that you can find in the super Jan/Feb issue of Papercrafts. Customise your own chipboard letters (Thickers) with an alcohol marker. They do take a while to dry depending on the finish so be prepared to do some waiting! Card size. This design looked lost on your average 4.25 x 5.5 card so I simply trimmed my card to a smaller size. Experiment with different sizes to compliment your design. Happy Valentine's Day ♥! I hope you have a lurvely day whatever you're up to, and even if you're not celebrating it, why not celebrate Friday-Eve with a new CASE Study to ink along to? You know the deal by now: you see a card from a fabulous muse and get inspired to create! I love Teri's use of patterned paper on this card - something I aspire to use on my own cards when I pick up yet another pad of lovely patterned paper only to know deep down inside that it will sit on my desk loved, but unused! 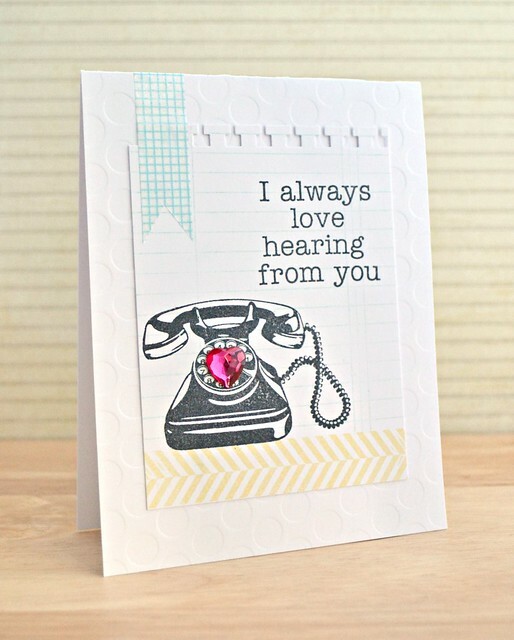 *sigh* However, things changed for this card and I indulged in a whole pad of the stuff! I wished I'd set myself the challenge to see how many Clearly Besotted Stamps stamp sets I could squeeze on to one card too seeing as I've managed to use six. Admittedly it's those itsy-bitsy-teeny-tiny stamps from a variety of sets, but that still counts as six different sets, right?! 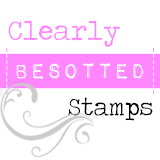 The rectangular panels are stamped from the stamp image from the set Post It: Love (Clearly Besotted Stamps). I simply stamped the stamp image and cut the rectangles out - easy! 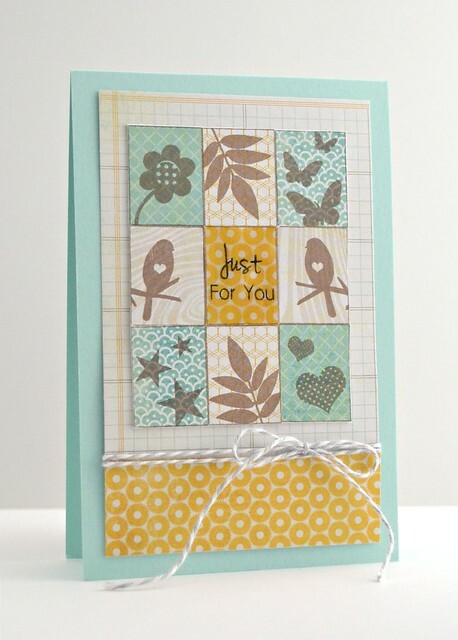 Take a look at the smaller stamps in your sets and see what you can create with them. 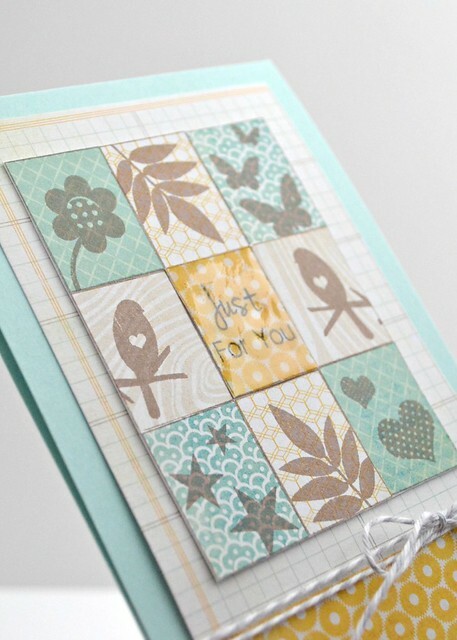 Using a dye ink on patterned paper allows the patterned paper to still show through the stamped image. If you don't want this effect, then try a chalk ink or embossing. Scared of mixing patterned paper? Me too! Simply use a variety of papers from the same pad/collection and they'll coordinate perfectly. Be sure to pop along and visit the rest of the super duper CASE Study DT and why not leave 'em some love whilst you're there? After all, today is the day to show some! Ahhhh, I can almost taste the weekend and along with it comes half-term - yipeeee! Cue lots of catching up to be done in both Blogland and the Real World next week!